Convertibles are coming in left and right in all shapes and sizes, most prominently in the 11 inch form factor with SSD storage and limited RAM. As we seek to explore the most compelling convertibles in the market for both specs and price, we came across the newly released Lenovo Flex 3 1130 2-in-1 80LY0010US. This new convertible comes in at a tight price point and features an Intel Celeron processor, SSD storage and a touchscreen, making it what we'd call a hybrid cloudbook/convertible. Today we're gonna take a deeper look as we review the Lenovo Flex 3 1130 2-in-1 80LY0010US to see what this notebook has in store. If you're considering purchasing this notebook then we seriously urge you to take a few minutes to read our review and come up with your own conclusions. While it's true that most convertibles in this price range come in a rather modest chassis, the Lenovo Flex 3 1130 2-in-1 80LY0010US goes ahead and spices things up by delivering a well built computer that holds up well when compared to other more expensive notebooks in the market. The display is an 11.6 inch LED-LCD screen that's touch sensitive and supports a maximum resolution of 1366 by 768 pixels with a 16:9 aspect ratio. The HD resolution is the norm amongst inexpensive laptops, however having a smaller screen also means you get access to a higher pixel density then you would with a 13 or 15 inch model with the same resolution. It's also very useful when you flip the screen and use it in tablet mode since it won't be as big a tablet as other models in the market. Being a small screen laptop also means it's very lightweight, weighing a little over 3 pounds and measuring under 1 inch of thickness. This adds to the portability of the PC making it very easy for you to just pop it in your bag and be on your way without all the hassle that a bigger format might entail. Moving away from the overall aesthetics we wouldn't be doing a proper review of the Lenovo Flex 3 1130 (80LY0010US) if we didn't tackle its performance. In this regard we're actually quite pleased to find a latest generation Intel Celeron N3060 CPU. This is a dual core processor that clocks in at 1.6GHz and works with 2MB of cache reaching a maximum speed of 2.8GHz. We're quite pleased that Lenovo decided to go down this route and not select an Intel Atom processor as the Celeron placed here is infinitely better. Sure, it's an entry level processor but it's an entry level processor for a laptop not an entry level CPU for a tablet like the Atom lineup. What does this mean? In short it means that this convertible isn't crippled by its CPU, being able to handle somewhat complex tasks quite easily like video and image editing, for example. That said, it's best performance will always be in low-resource tasks such as web browsing, video chatting and streaming video, amongst many others. One aspect that's not all that good is RAM, where we've got a single 2GB DDR3L module working at 1600MHz. That means that complex multitasking is not an option. Running two-three low demanding apps will be just fine but anything more than that is just pushing your luck and you'll likely end up with the ever dreaded performance lag that's so typical of PC's with a low amount of RAM. Things get interesting once again when we look at the storage on this notebook. Specifically, we've got a 64GB SSD. Surely that's not a lot in terms of storage but we're not evaluating storage capacity as much as storage velocity and in that territory SSD wins big over the conventional Hard drive. That means that turning on your laptop will be a quick and seamless process as well as accessing files and media stored in the machine. If you're running low on storage we'd recommend purchasing an ultrafast SD card to use as an external hard drive that you can leave plugged into the machine and easily double your base storage at a minimum expense. Battery life isn't all that impressive considering we're dealing with a laptop designed for long term portability. Specifically, the Lenovo Flex 3 1130 packs a 2 cell battery that - according to the company- can deliver up to 5 hours of battery life. That's not all that much for a device that's been mainly designed for portability. This is not a gamers laptop by any means. It houses an Intel HD graphics 400 chip and that means you're not gonna get much performance when it comes to playing anything that's graphically demanding. Finally we should mention that the Lenovo Flex 3 1130 is very well equipped when it comes to connectivity, going as far as to include an ethernet port, something very rare amongst convertibles. There's also a USB 3.0 port, a couple of USB 2.0 ports, HDMI output, the aforementioned SD card reader as well as an audio jack, HD webcam, WiFi and bluetooth support. Closing statements: Should I buy this device? 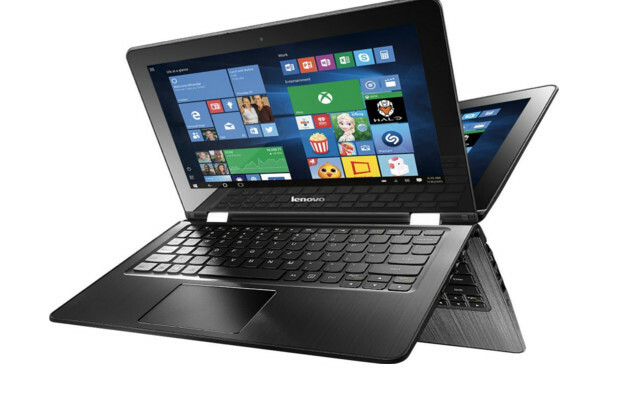 After reviewing the Lenovo Flex 3 1130 80LY0010US we can safely say that coming up with a verdict is a difficult task. This machine packs features that sit between a tablet and a laptop making it very hard to make a decision. We like the convertible display, relatively powerful processor, ample SSD storage and plentiful connectivity options. However, we don't like the limited 2GB of RAM or the restricted battery life. If you're intention is to buy this as a secondary laptop that serves primarily as a more efficient tablet then by all means go for it. However, if you're intent is to buy an affordable laptop to serve as a desktop replacement then we should mention there are much better options in the market if you're willing to stretch your budget a little bit. As a portable laptop for low demanding tasks its a pretty good option but we wouldn't be sincere if we recommended it as a main system unless you're just gonna use it for basic tasks like web browsing , streaming video and the likes.